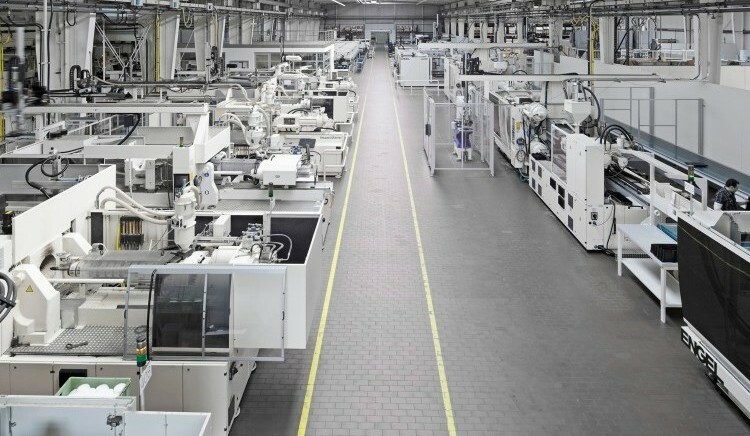 The machine park of the BMF plastic processing sector features more than 80 top-modern injection molding machines from KraussMaffei and Engel with a closing force span of 28 to 2,300 tons. Removal robots and a centralized material feed support the production processes. Internal gas pressure technology, gas counter-pressure technology, the 2-component process and outsert technology (functional parts on metal bearers) all belong to the special processes of the BMF.